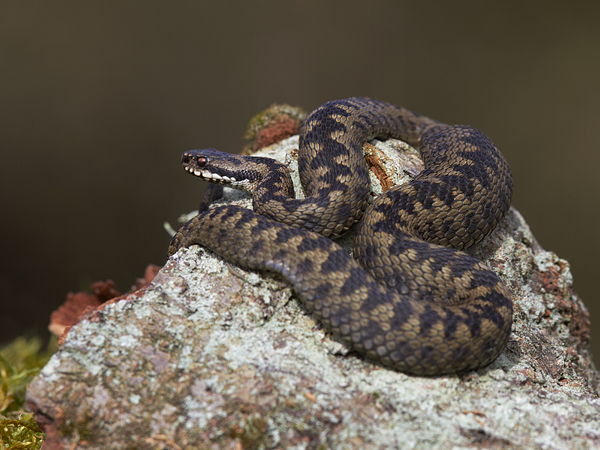 There are three species of snakes in Britain, two that are well know snakes are the Grass Snake and the Adder, whilst the third is the Smooth Snake which is far less well known. All three are fully protected under the Wildlife and countryside act against being killed, injured or sold. 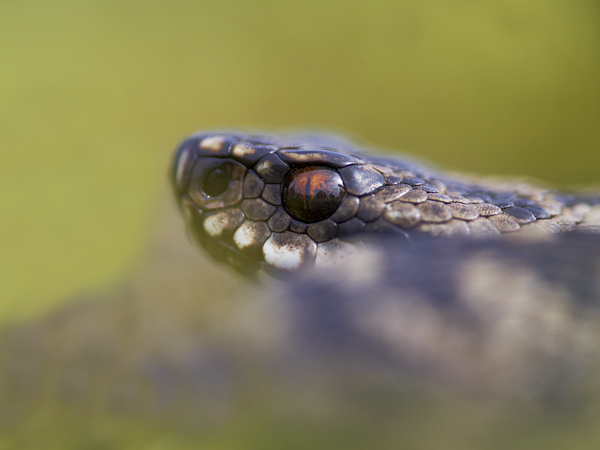 The Adder is also known as the "common viper", it is Britain's only venomous snake, but they very rarely attack, they much prefer using their camouflage to hide or to retreat to a safer place when threatened. If they do attack it is generally as self defence when threatened or provoked. 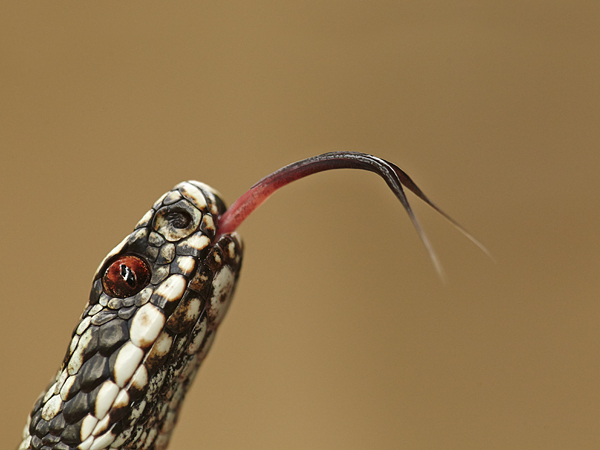 Due to modern medicine and the fact that very few people ever get bitten by them, it has been over 20 years since the last British death by an Adder bite. 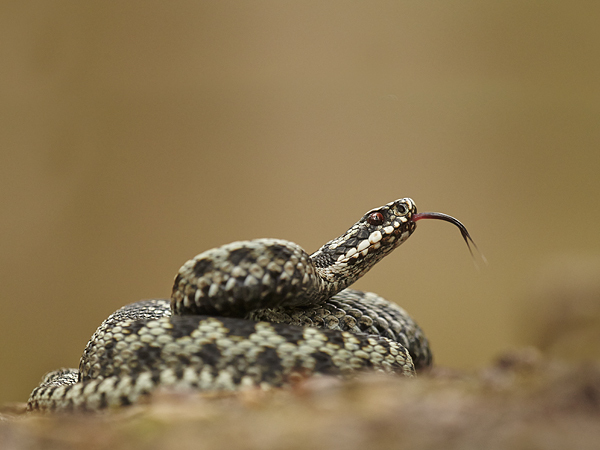 Adders are reasonably widespread throughout the British mainland and have a wide range of habitat from woodland, hedgerows, bogs, heath land, dunes, etc. They can survive in quite harsh conditions and are extremely hardy. 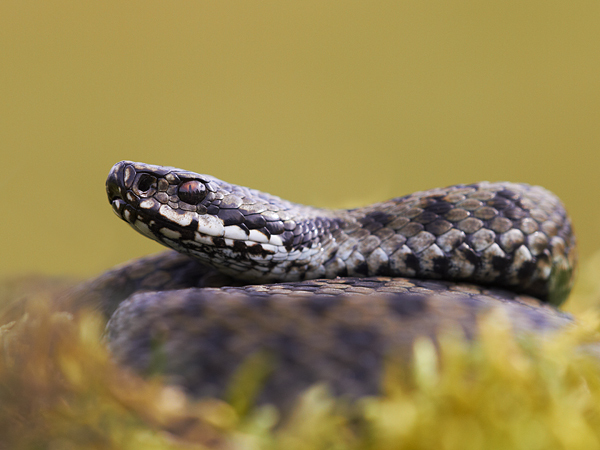 They love to bask on warm ground during sunny weather as this lets their body temperature rise which then allows them to go hunting for food. They can often be found in compost heaps. 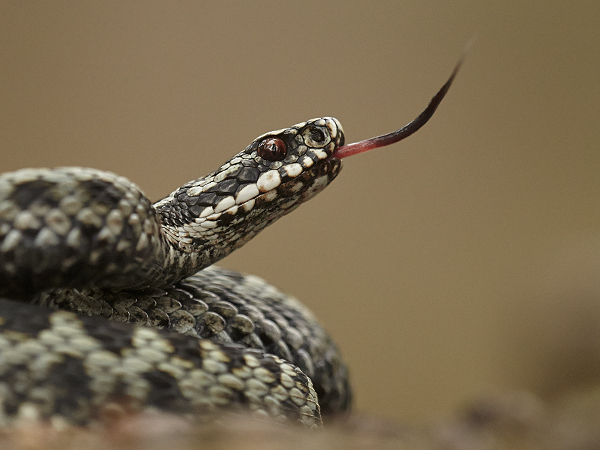 Adders can be easily recognised apart from Grass snakes by their distinctive zigzag pattern, the base colour can from from cream, grey, green, or brown or a combination of these colours.